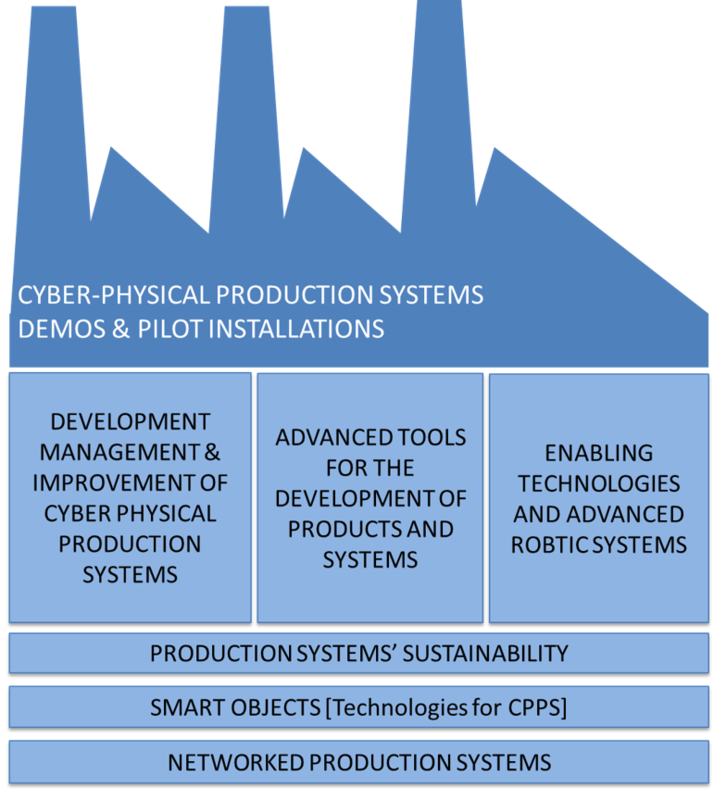 The umbrella PRODUTECH SIF incorporates a research and innovation agenda, for production technologies, cyber-physical systems and industry transformation. It embodies the combined efforts from actors of the industrial fabric and research and innovation system, gathering a critical mass for the effective development and deployment of advanced knowledge and technologies, which will be transferred and assimilated by industrial companies, and deployed in innovative products and services (production technologies), embedding advanced solutions. As such, it foresees the technology creation, acceleration, transfer and demonstration of developed solutions in reference companies from user sectors, towards its effective diffusion, valorisation and adoption by industry. The PRODUTECH SIF umbrella stems from the confluence of R&D +I(nnovation) +D(emonstration and diffusion) axes of the Production Technologies Cluster multi-annual programme and gather a consistent set of activities towards the above mentioned goal.